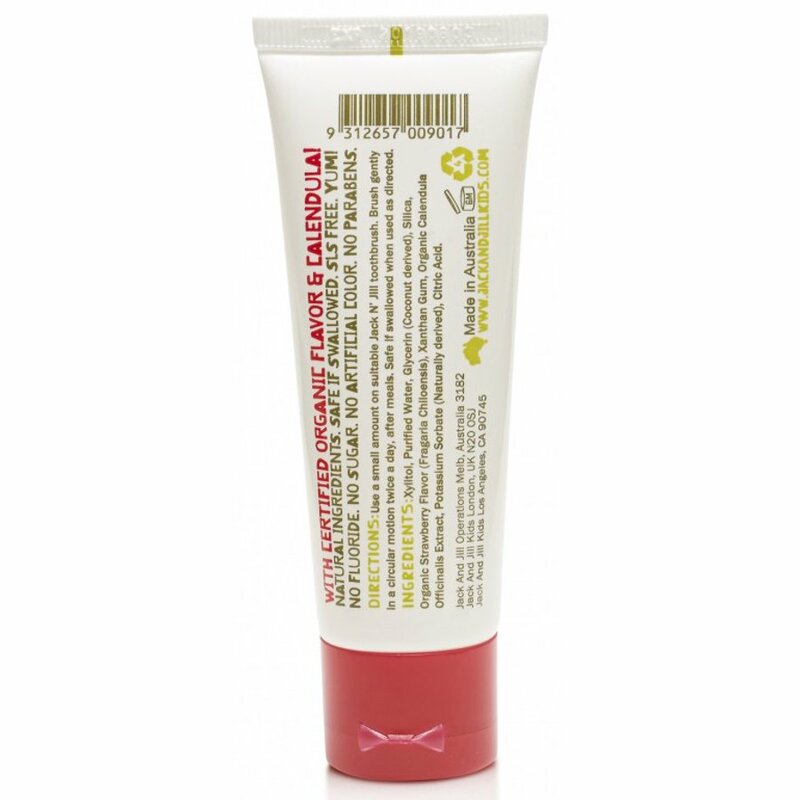 This natural children's toothpaste is packed with organic flavours and calendula – and that's it! No fluoride, colours, sugars, preservatives, SLS.......just natural, effective goodness. Your little one's precious gums are soothed with organic calendula and tooth decay is prevented with natural xylitol. Of course, natural strawberry flavouring is always a firm favourite, so cleaning your child?s teeth need never be a battle. Xylitol, Purified Water, Vegetable Glycerin (Coconut derived), Silica, Certified Organic Strawberry Flavour (Fragaria Chiloensis), Xanthan Gum, Certified Organic Calendula Officinalis Extract, Potassium Sorbate (Naturally derived), Citric Acid. The Jack N' Jill Fluoride Free Natural Toothpaste - Strawberry - 50g product ethics are indicated below. To learn more about these product ethics and to see related products, follow the links below. Having tried at least 10 other toothpastes I was relieved to find one that my daughter tolerates and doesn't have lots of chemicals or unnecessary frothing agents. I use it too when we're camping and it's easier to swallow than spit! Fab product. There are currently no questions to display about Jack N' Jill Fluoride Free Natural Toothpaste - Strawberry - 50g.